"Dr. Ed is by far the most compassionate, knowledgeable & spectacular doctor I have met." "This man has been my lifeline since becoming a mom! Endless gratitude for Dr. Sarraf!" "Wouldn’t take our kid anywhere else!" Southern California Integrative Wellness Center is one of the premier integrative health centers in Los Angeles. 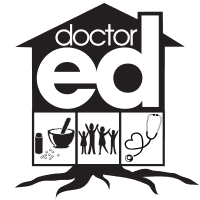 Founder Edmond Sarraf, MD, is a homeopathic pediatrician who believes in using natural treatments such as food and nutrition, herbs, and mindfulness as the primary treatment for patients. With the goal of providing the full scope of integrative healing options, the practice is rounded out by a naturopathic doctor, integrative functional nutritionist, a Reiki master, and a spiritual healer. The team at Southern California Integrative Wellness Center offers concierge medicine, giving families the ability to have direct access to the doctors when needed and to benefit from house calls. As a boutique practice, they’re dedicated to giving each patient the attention they deserve, identifying the true cause of their health problems and treating the whole person. Parents can feel confident knowing their children receive compassionate care and safe, gentle, natural treatments for the full scope of pediatric health problems, including allergies, asthma, and colic, as well as mental health concerns, such as depression, anxiety, and ADHD. Although prescription medication is the last resort in most cases, the doctors recognize when it’s essential and they’re available to help with traditional medical care. The team at Southern California Integrative Wellness Center welcomes parents who are concerned about the harmful impact of vaccines. The doctors have an open philosophy about vaccines. They believe that one size does not fit all children. They talk honestly about each child’s health status, the potential side effects of vaccines, and the vaccine’s effect on a developing immune system. If parents choose not to vaccinate their child, the doctors offer alternative natural options. The team invites all families in the area to come in for a visit and learn why Dr. Sarraf’s motto has become “gratitude, love, and growth in good health.” They feel honored to have the opportunity to help families learn the benefits of natural healing. To learn more about their services or to schedule an appointment, call the office today. "Dr. Ed is the truly the first doctor we have found that we feel totally at ease with. The staff is wonderful, the clinicians and recs they give are all excellent." "My daughter has been seeing Dr. Sarraf since newborn, and she adores him. He is very knowledgable and has always been there to help if there was an emergency." "I love his intergrative approach and keeps us well informed with the best health and well being of our precious baby. Thank you Dr Ed!"